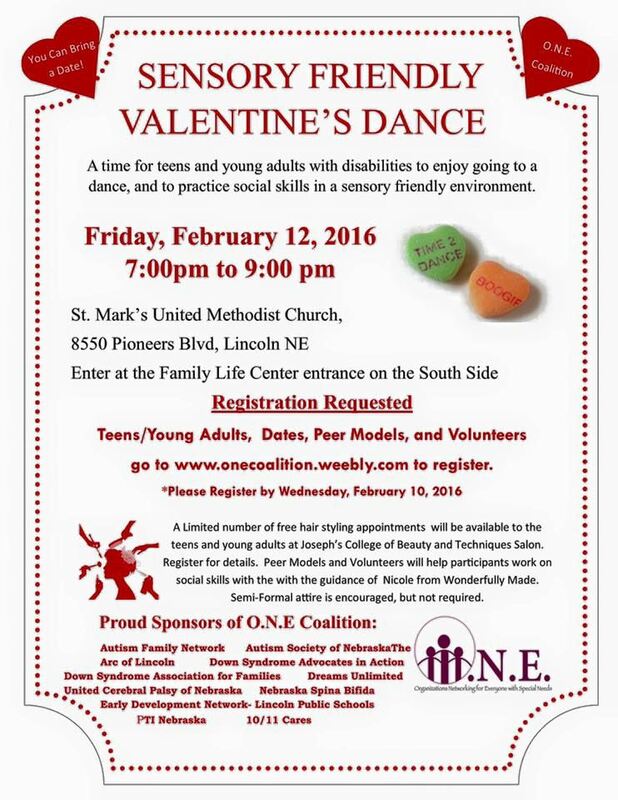 A time for teens and young adults with disabilities to enjoy going to a dance, and to practice skills in a sensory friendly environment. Semi-Formal attire is encouraged, but not required. A limited number of free hair styling appointments will be available to the teens and young adults at Joseph's College of Beauty and Techniques Salon. Register for details! Peer Models and Volunteers will help participants work on social skills with the guidance of Nicole from Wonderfully Made. Go to www.onecoalition.weebly.com to register!